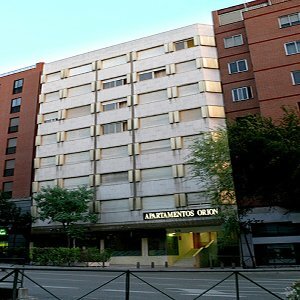 Hotel located at Calle Diego de LeÃ³n, next to Emilio Castelar square. A range of studios available to make your stay more comfortable and pleasant. The studios have air conditioning, heating, satellite TV, telephone, fax and a laundry service. American Express not accepted. There is a public charged car park near the hotel. The hotel offers its guests continental breakfast, that will be served on the rooms.